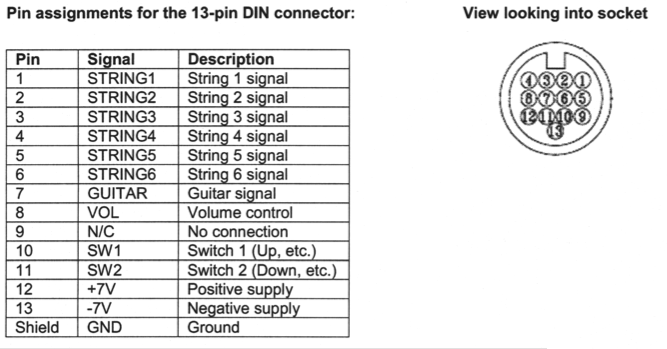 The diagram above breaks down the pin assignments of the 13 pin DIN connection. 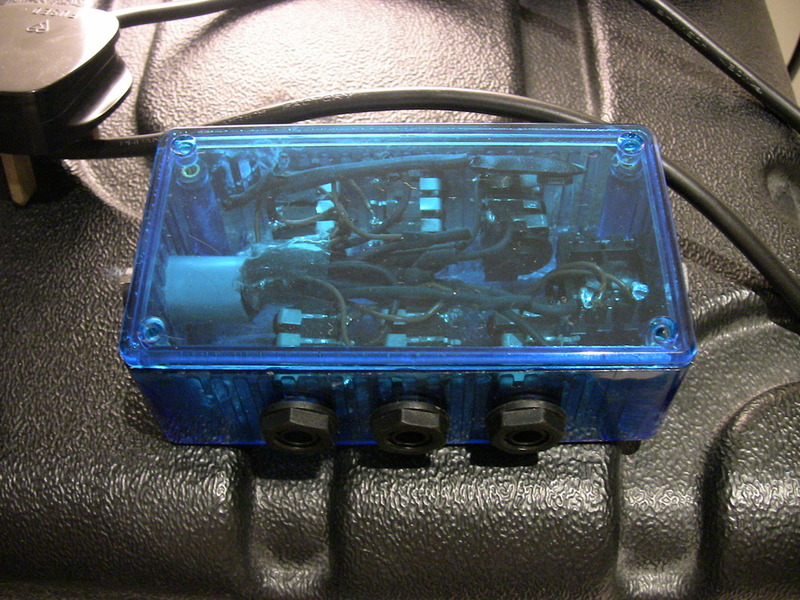 The break out box would allow me to access individual audio for each string on my electric guitar. In researching the construction of this box, I found two excellent sources of information.The first was Jeff Berg’s website, Unfretted.com, and the second was Dublin based Electroacoustic Composer, Enda Bates. Pins 1 – 6 correspond typically to strings 1 – 6, the 7th pin corresponds to the sum of all 6 strings, and pin 12 is where power is sent via a 9v battery. In my case, the 7th pin will correspond to the 7th string of my electric guitar. Jeff Berg’s excellent guide to building your own break out box is available here. It is very important that you read Jeff Berg’s instruction and that you ground the box properly. Do not construct this in the bath etc. 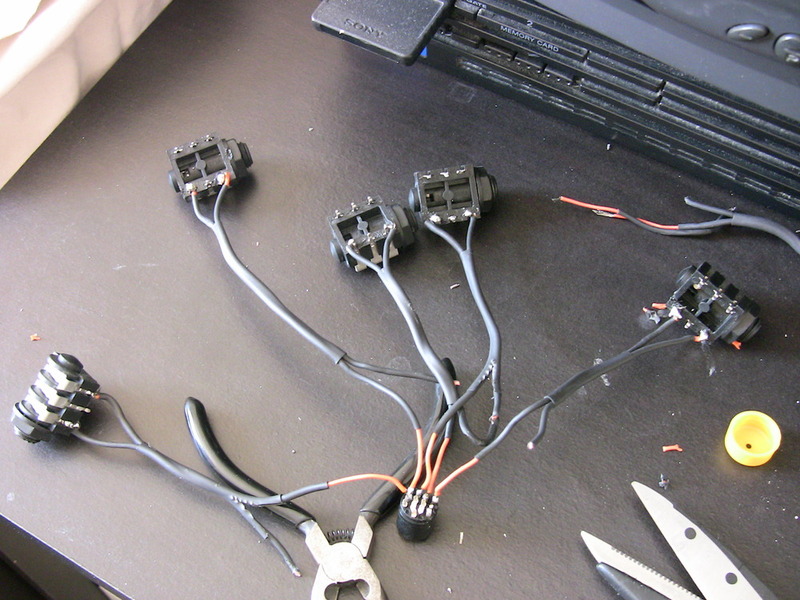 I required a female 13 pin DIN connection, 7 female jacks, and some heat shrink tubing so that I could make the connections more robust. Thanks to Taku for the recommendation of heat shrinking. 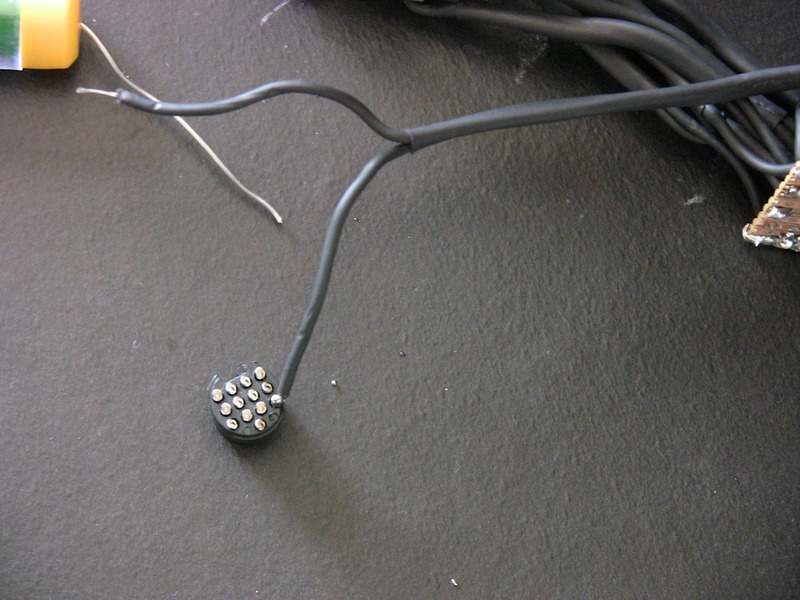 I soldered pins 1 – 7 to the tip contact of each female jack socket. 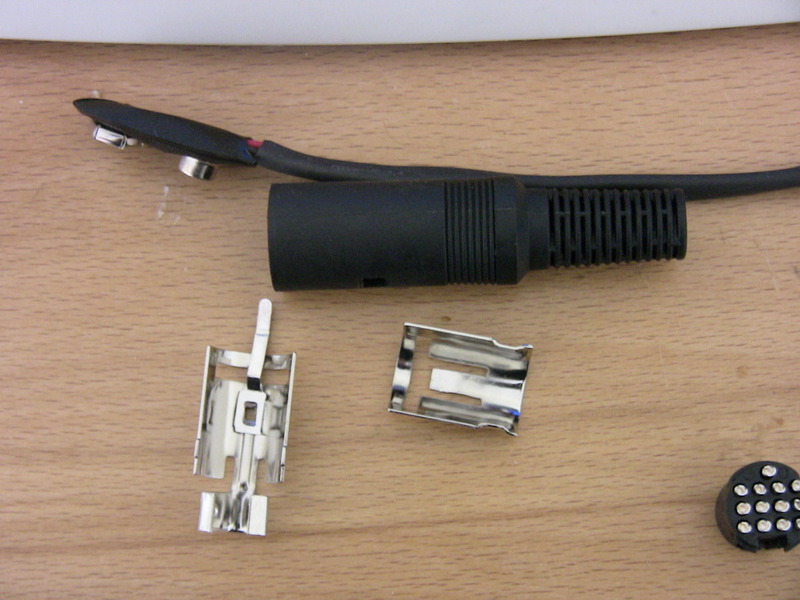 It is important that you ground the sleeve of each jack along with the shield of the 13 pin DIN connection. 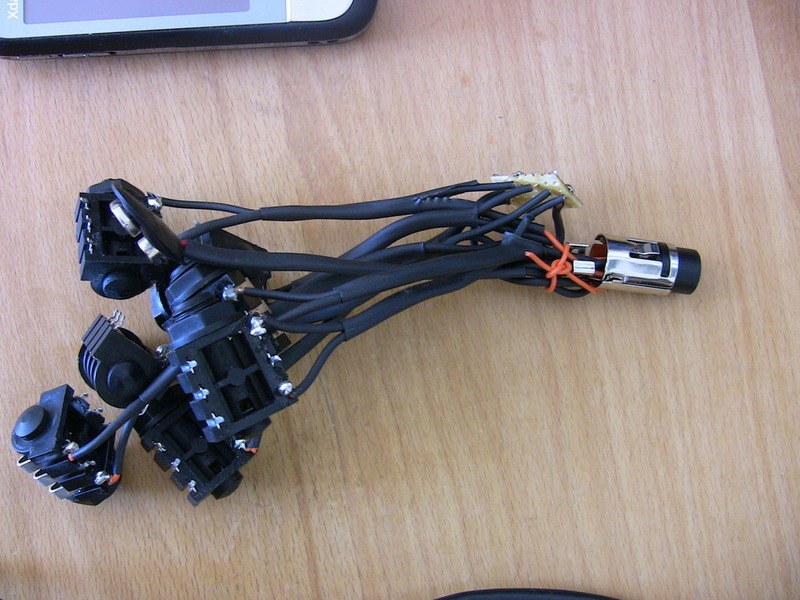 Once the connections began to take shape, I then built it into a cable. I used a little bit of PCB for all my grounding. And then into a box. I managed to fit the cable into a box the size of a D.I. box. One thing I would suggest is that you use a box with a little more weight if you plan to use a loom cable so that the box does not become damaged due to the weight of the cable. Thanks to Enda Bates, Takuro Lippit, and Jeff Berg for their direction with this project. The aluminium enclosure is better for shielding. Ground it to a bit of PCB with the grounds of the jack sockets. I have no noticeable noise on the separate signals. The piezoelectric P/Us are very clean. Only thing is the signal is a little on the low side, which is to be expected, but this is easily fixed post break out box.RE: Power. Yes, one battery (+) to pin 12. (-) to shield. This process was aided by Jeff Berg’s guide at http://www.unfretted.com.